This is my third of 3 submissions to the contest - Pennywise (Chuckywise), the Dancing Clown. This is probably my most popular and well known sculpture, as it went viral at one point last year. 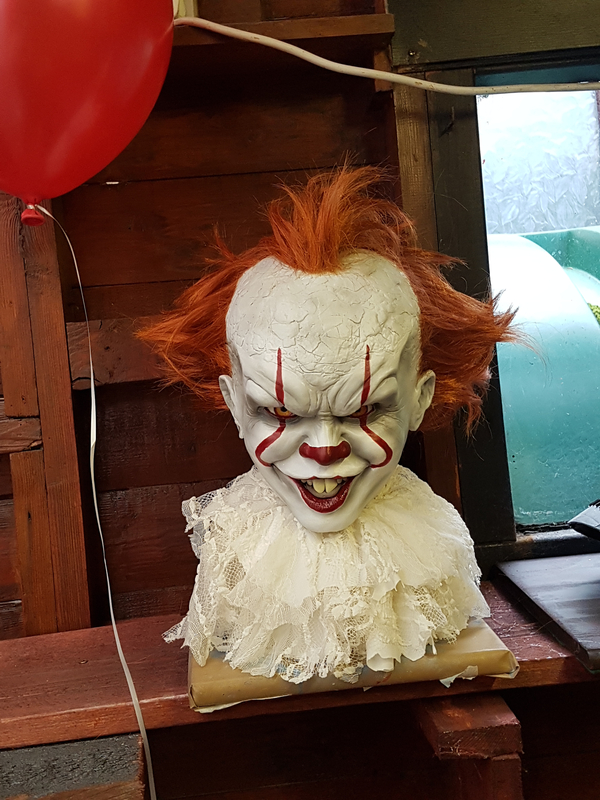 I put "Chuckywise" up there because, I think, the most common comment I got on it was "looks like Chucky". I think there COULD be a resemblance (the hair in the video, which I later tried to adjust, does seem Chucky'ish), but I did a lineup of the 3 faces, and it's a bit of a stretch - but if people like it, all's fine. A core of styrofoam and paper, the majority is, again, all hand sculpted using air drying, nylon reinforced, water based clay. I constructed the eyes using a white polymer clay (sculpey), glass cabochons, and I designed/drew the irises, and added LED lights behind the glass and iris design. The buck teeth I sculpted out of miliput epoxy, painted with Vallejo "bonewhite". The hair is a "Ginger Boy Band" synthetic wig that I hacked up and applied. The collar is a dress I found in a second hand shop and also gave the scissor and stitching treatment. Painted using Vallejo Airbrush paints (Deadwhite, Bonewhite, Gory Red, and black wash). 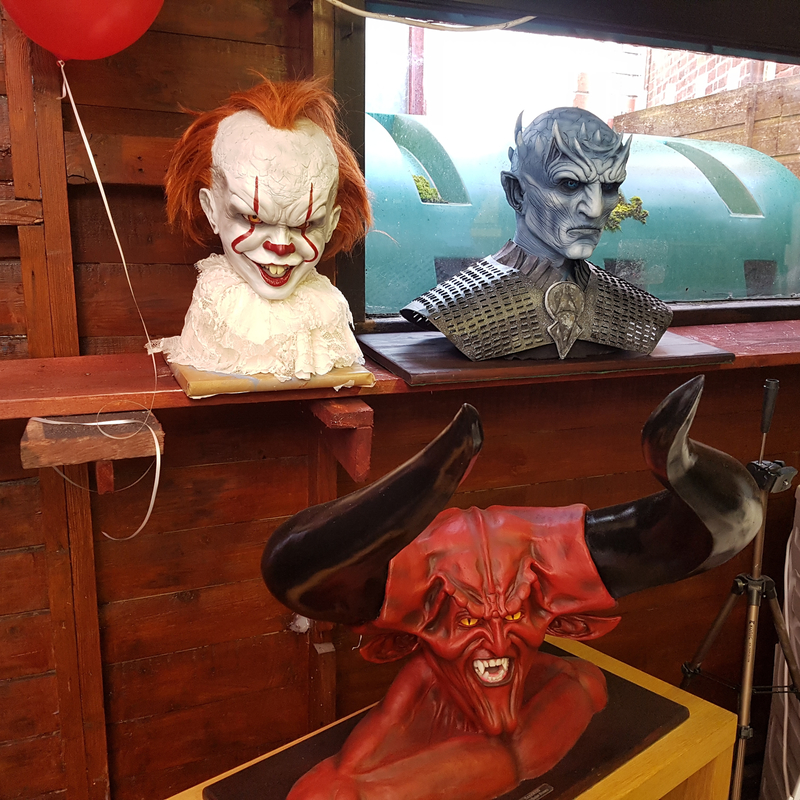 Those other 2 guys I also made (DARKNESS and The Night King), but I could only choose 3 to submit here, so those two fellas have to take a backseat. Hope you guys enjoy the work! 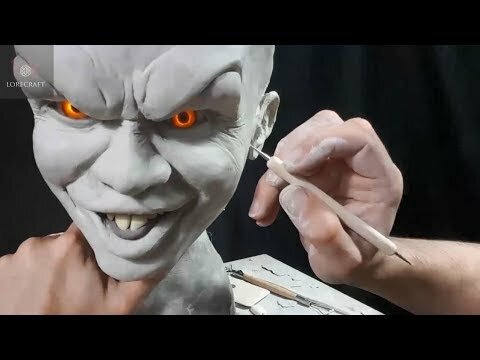 In opposition to the artist Nicholas, I don't really see the resemblance to Chucky. 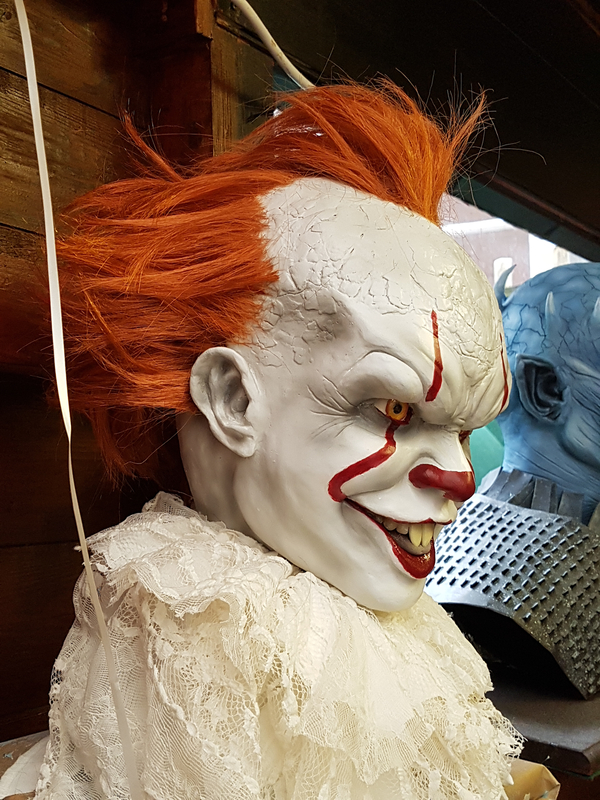 I think that he portrayed Pennywise accurately and with the quality of a professional. There was clearly time, effort, and patience that went into this sculpture. Everything from the hairline down to the cravat seemed to have been carefully and skillfully planned out. 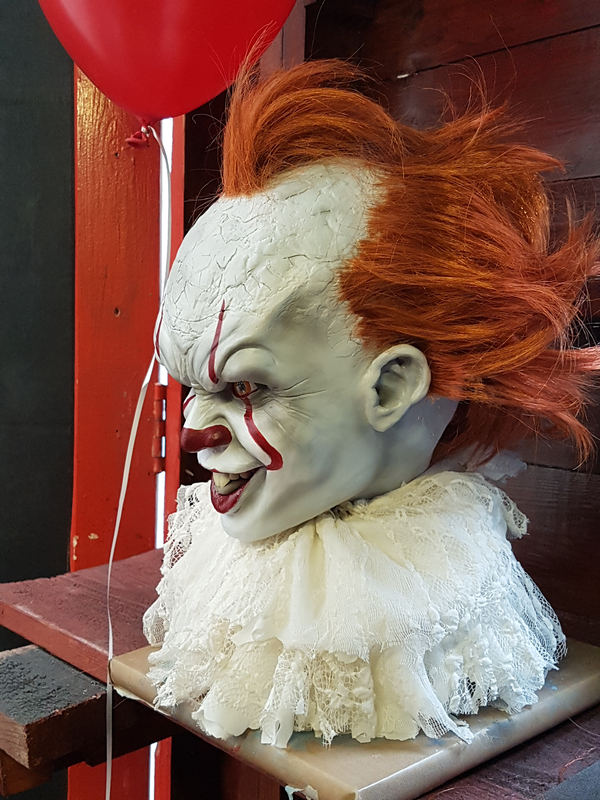 The amount of detail added, especially around the browline, really brought out Pennywise's devilishly cheeky personality which was heavily emphasized by the intense shading. The attitude of the sculpture is dramatic and enticing, it beckons attention and definitely is a statement piece, to say the least.